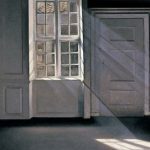 The painting below is called ‘Montague Street, London’ and dates from 1905 when Hammershøi visited the city from November 1905 to January 1906. 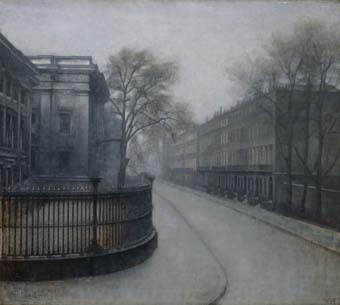 The original is oil on canvas and it shows the view from the Hammershøis’ dwelling in Great Russell Street, with the British Museum on the left. 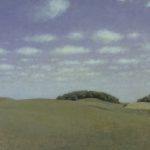 The original painting is now held by the Ny Carlsberg Glyptotek in Copenhagen.